domestic relations that include marriage and divorce, adoption, custody, death and estate planning. Divorce is never easy, especially when children are involved. Working with an experienced family law attorney can help guide you through the often-complicated legal processes associated with domestic issues surrounding family matters and domestic relations that include marriage and divorce, adoption, custody, death and estate planning. At The Law Office of Patricia E. Tichenor, P.L.L.C., we recommend that you consult with us before making any major decisions to change the household. Planning ahead allows you to understand your rights and options, even if you don’t get a divorce. We’ll educate you on your options and give you honest, expert advice that can help you navigate any major life changes. We offer reasonable pricing and can guide you on how to prepare items for your own case to keep attorney fees to a minimum. Couples who want to secure their relationships through the drafting of legal documents should seek advice on prenuptial/premarital and postnuptial/postmarital agreements, civil unions, domestic partnerships and other issues surrounding marriage law. We’ll discuss your goals and offer our skilled legal services and advice. There are many issues that need to be addressed in a divorce situation that include mediation between the couple seeking separation and care and custody of minor children. We highly recommend mediation to avoid the costly process (emotionally and financially) of going to court; however, in cases where issues cannot be solved through negotiation, we will take all actions needed to protect our clients’ interests in the courtroom. Divorce issues can include legal separation, divorce, uncontested divorce, annulment, alimony (also called spousal support), custody and visitation, division of property and debt settlements, and paternity. In addition, following a divorce, it is always important to update your estate planning documents or draw up an estate plan—even if it’s your first estate plan. In divorce cases where minor children are involved, there are many issues to be mediated or settled. 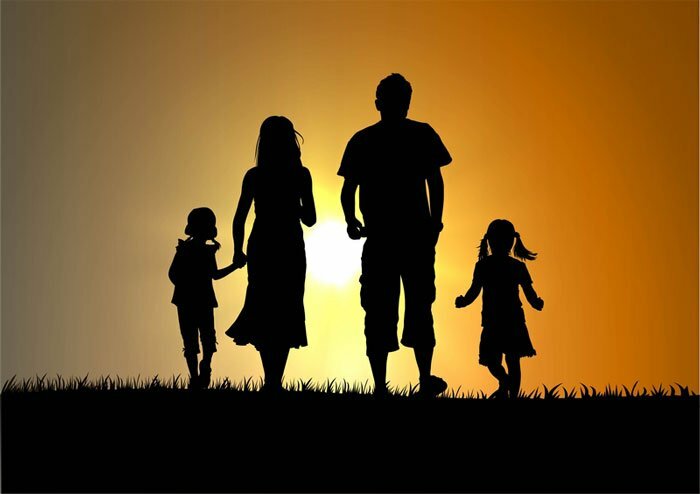 They can include parental, grandparent and step-parent rights, child support, child custody and visitation, and post-divorce issues such as post-judgment enforcement (sometimes called contempt or show cause), and modifications to child support, custody and visitation agreements. It is important to know that the court looks at the child’s best interest when making its ruling, not the interest of either parent; therefore it is vital to work with an experienced child custody attorney who can assist you in creating a strong case that protects your relationship. The Law Office of Patricia E. Tichenor, P.L.L.C. is experienced with all custody, visitation, and support issues surrounding children, including assisting parties seeking a court order defining their legal rights when having a child with someone to whom they are not married. Very often, a contested court battle is not the best solution to a divorce case. That’s why The Law Office of Patricia E. Tichenor, P.L.L.C. encourages our clients to mediate domestic issues. Working out differences and signing agreements, even to settle partial issues while reserving others for court, serves to simplify the divorce process, deescalate tensions and mitigate the costs involved in a divorce proceeding. When agreements are reached mutually, we find they are much easier to accept, and the two parties can more quickly return to neutral positions, which benefit all, especially in co-parenting situations.